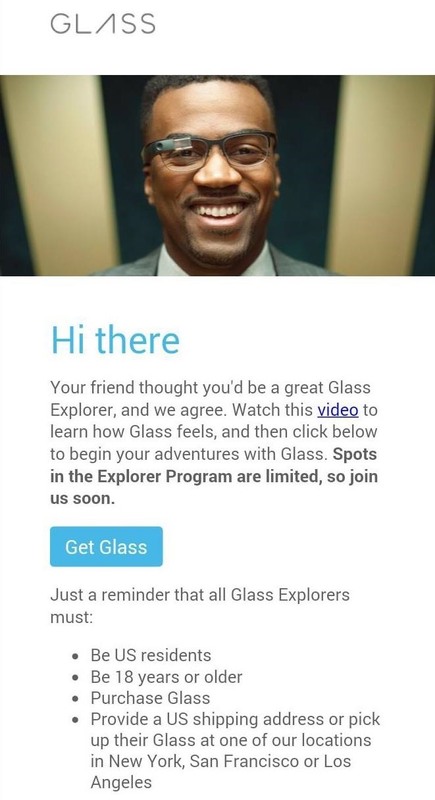 With all signs pointing to a late-2014 release of Google Glass, the company is opening up their Explorer program to the masses. If you're a US resident who is at least 18 years old, sign up right now to be a part of the initiative. It seems as if Google is really expanding the program, as invites are being sent out in masses. I'm happy to report that I received mine this morning, as did a slew of others. So, ready to explore? Sign up, become as early adopter, and stay with us for all the latest and greatest.